If you would like to add your community event to the calendar, contact Hannah at 352-3618 or lifestyleeditor@natchitochestimes.com. 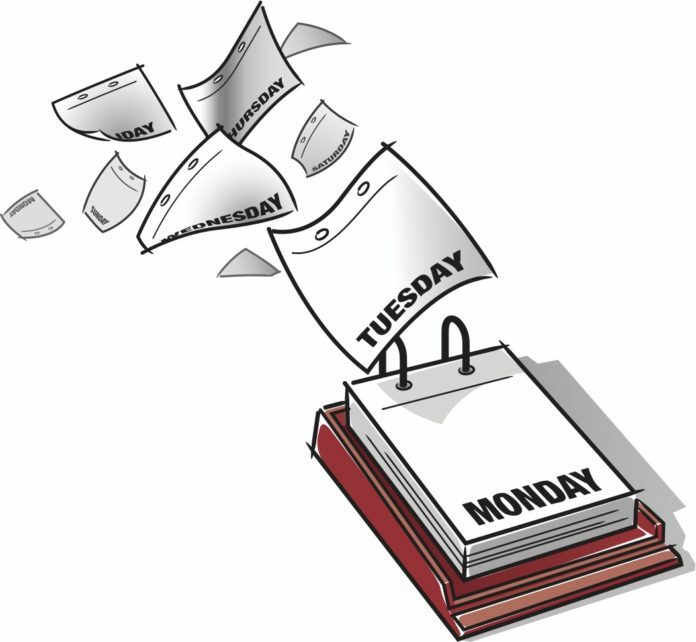 The calendar runs every Thursday and Weekend edition. The Natchitoches Farmer’s Market will be every Sunday until July 28 on Front Street from 8 a.m. – noon. There will be local produce such as fruits, vegetables, plants, jams and jelly, and also local artworks for sale. Children ages 2-13 have a chance to receive $5 worth of tokens at the market. The Natchitoches Mobile Market and Portable Park are Tuesdays at Pierson and Mallett Park and Thursdays at Ben Johnson Park from 3:30-5:30 p.m. until Aug. 2. For more information, visit readysetgonatchitoches.com. The Natchitoches National Fish Hatchery will host the Annual Kid’s Fishing Derby Saturday, June 2 from 8 a.m. – noon. The free event includes games, activities and of course, fishing, as well as lunch and drinks for participants. Cookin’ on the Cane will be June 2 and will have food vendors, children’s activities, live entertainment and BBQ a cook-off. Girls Weekend, a fun-packed weekend including a fashion show, comedy show, discounted shopping, delicious food and more, will be June 8-10. For the full schedule, registration and accommodation information, visit girlswknd.org or call 318-652-7078. The Johnny Antoon Memorial Scholarship Golf Tournament will be from 6-10 p.m. June 8 and from 8 a.m. – noon June 9. Donations are a minimum of $10. Mail entry form, payment and/or donations to: Jill Bankston, NSU Alumni Center, 535 University Parkway, Natchitoches, LA 71497. Mulligans will be sold at check-in for $10. The Natchitoches Humane Society Bath and Nail Clip Event will be Saturday, June 9 at 9 a.m. and Tractor Supply. For pets less than 60 pounds, its $10 and over 60 pounds its $15. Nail clippings are $10. There is a $5 discount for a bath/nail clipping combo. Bring your own towel. The Natchez Heritage Festival is June 23. The festival celebrated the colorful history of Natchez with local food, music and a parade. The Natchitoches-NSU Folk Festival will be July 20-21 at Prather Coluseum. This festival celebrates folk art, food and music. The Northwestern Louisiana Cancer Center hosts breast cancer support group meetings, called Bosom Buddies Support Group, the first Monday of each month at 5:30 p.m. The Bosom Buddies breast cancer support group meetings are for all breast cancer survivors, fighters and caregivers. The NLCC is located at 221 Medical Drive in Natchitoches.